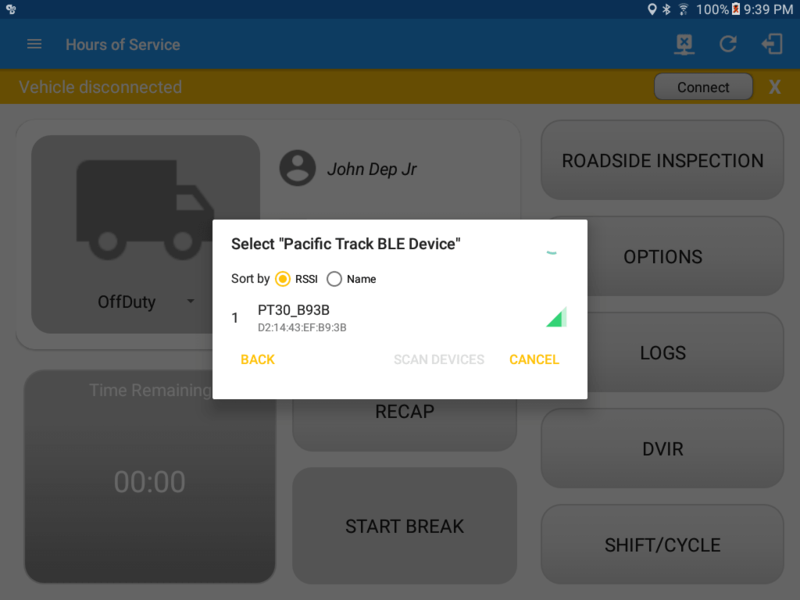 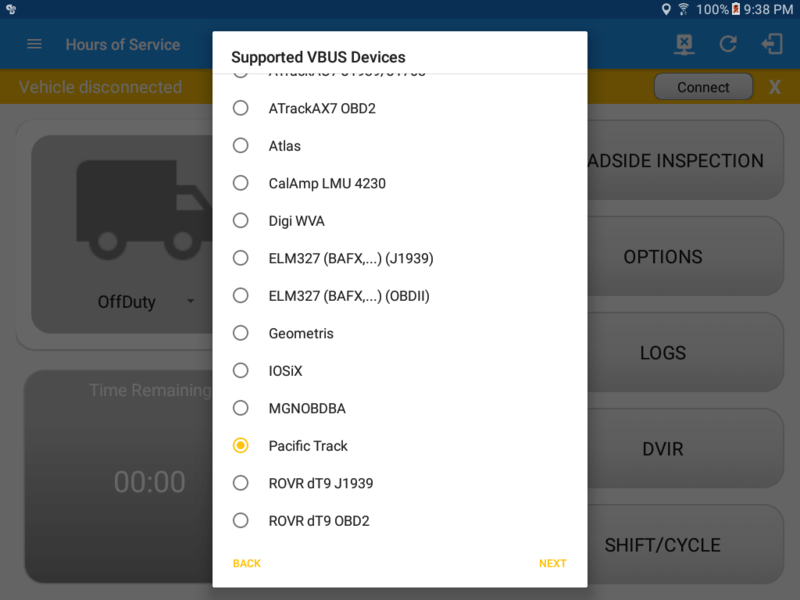 DO NOT pair Bluetooth in your phone/tablet settings. 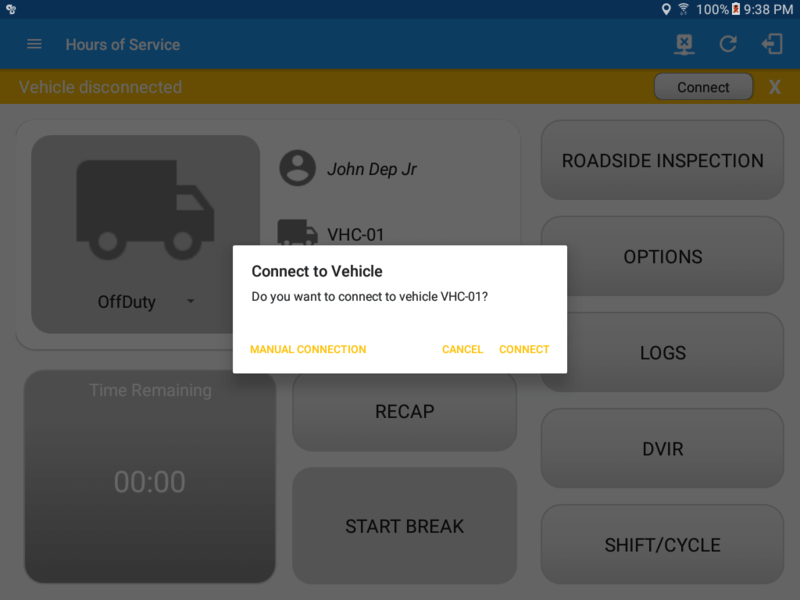 The connection will be established in the application. 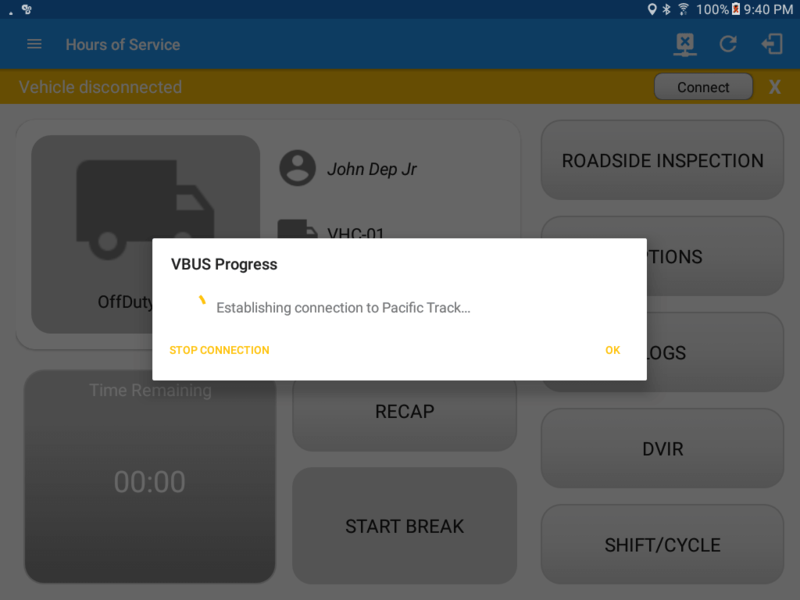 Plug the device into the vehicle port, BEFORE turning on the vehicle and BEFORE running the application. 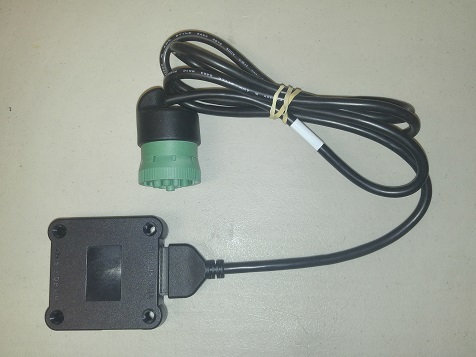 When the green LED becomes solid, the device is registered on the vehicle bus and you can run the application. 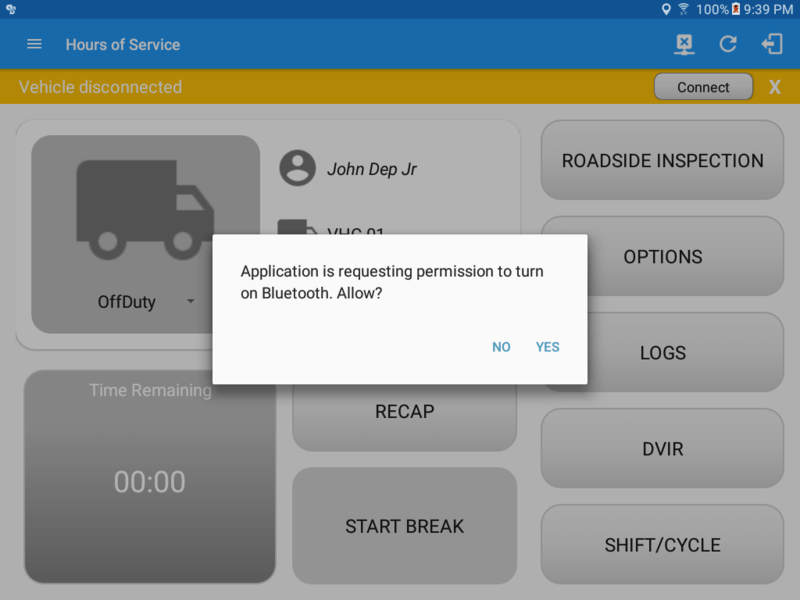 If the Bluetooth of the device is disabled, the ‘Bluetooth Permission Request’ dialog will be displayed. 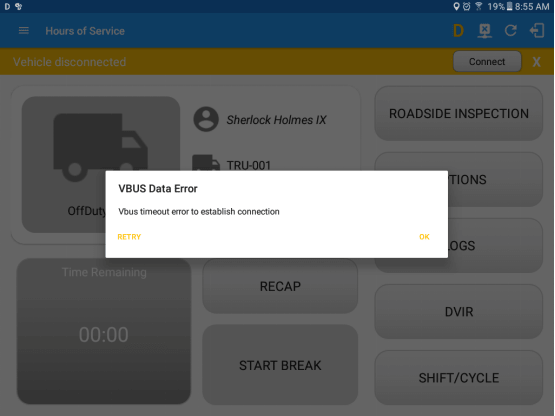 If the VBUS connection results to an error (given the following situations below), an error dialog will display. 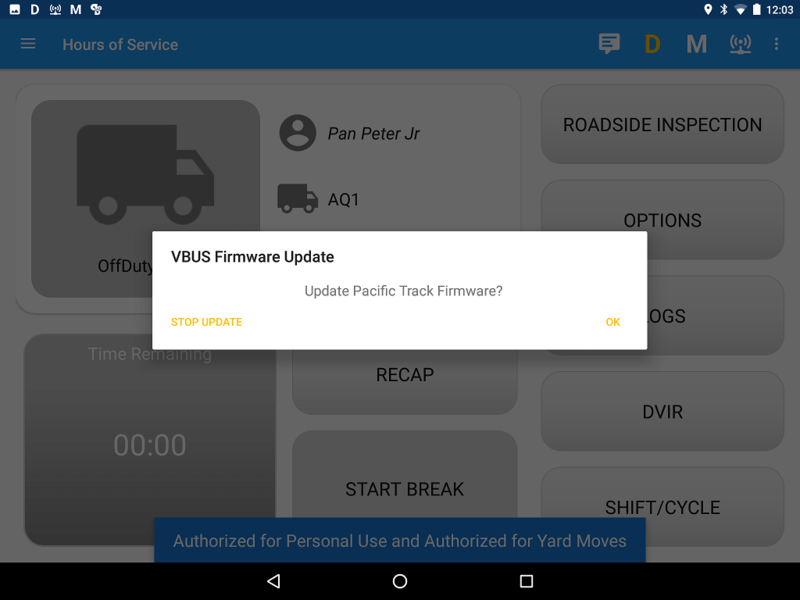 After checking VBUS update, if there’s an update available, a dialog will then be displayed asking if you want to “Update Pacific Track Firmware?” along with ‘Stop Update’ and ‘OK’ buttons. 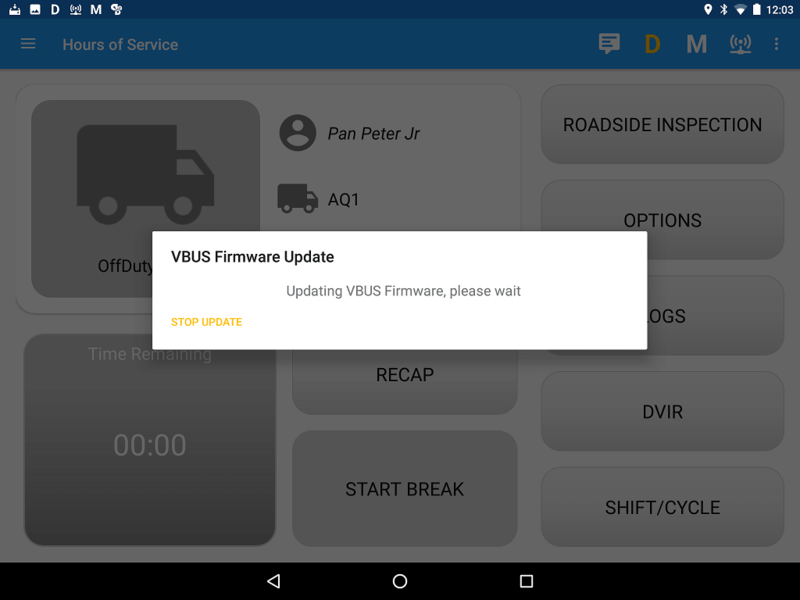 Once OK button is tapped, a dialog for updating the VBUS firmware will then be displayed. 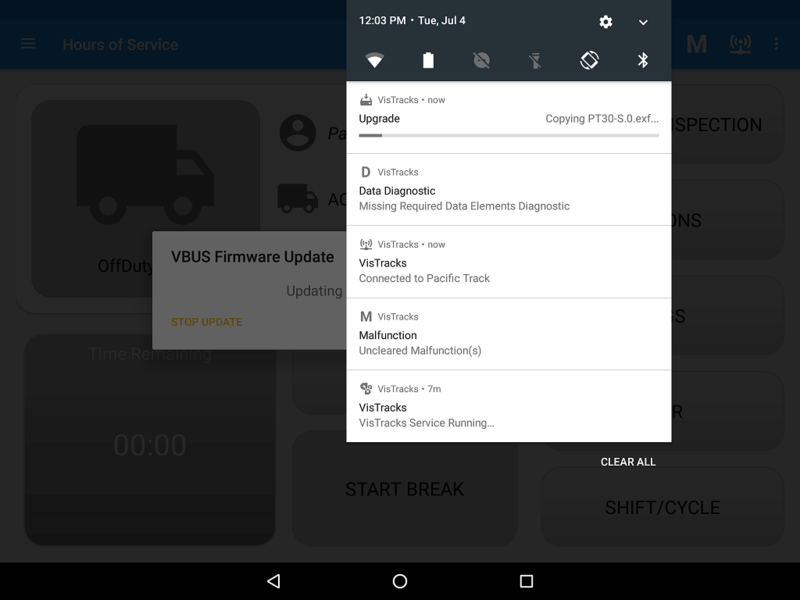 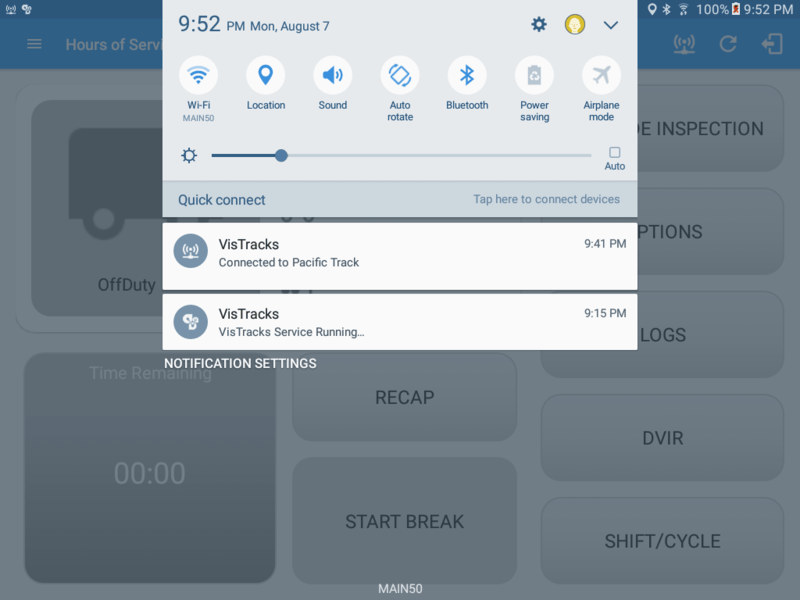 Upgrading of the latest Pacific Track Firmware will then start and can be seen the progress in the Android Notification bar. 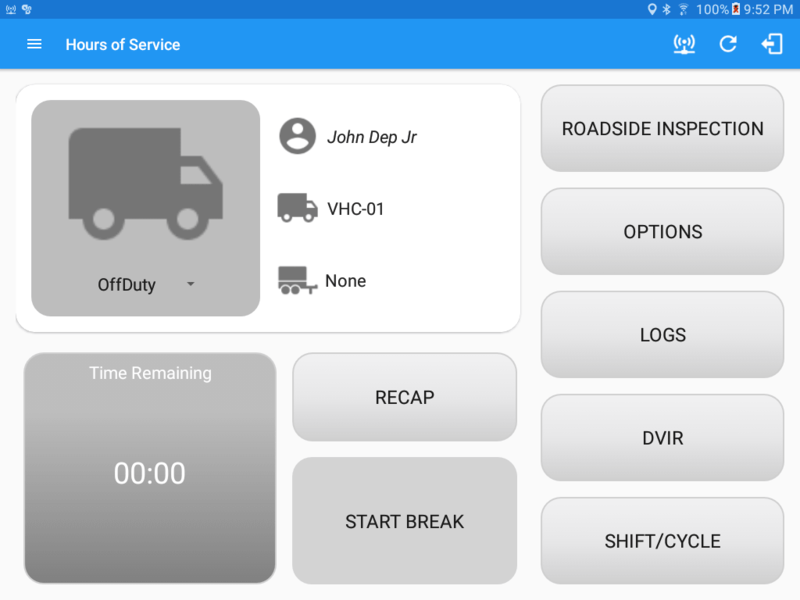 Note: Only users allowed to Manage Equipment can create equipment in the app.